Within the next few hours, 8 to 10 or so, the small asteroid lander MASCOT should start its operations from the surface of Ryugu. This lander has a 1 hop capability if things are not ok initially. 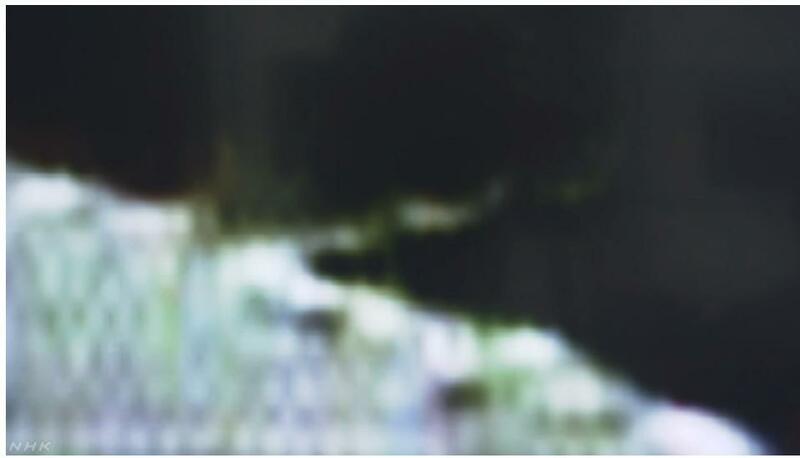 Hyabusa2's shadow, MASCOT's approach and hops before its demise on the 'crazy' rocky surface. October landing postponed til after January 2019. Figure 2: L08-B (area enclosed within the red circle) and its peripheral area imaged from a lower altitude. The photograph was captured with the ONC-T (Optical Navigation Camera – Telescopic) from an altitude of about 1.9km during the MASCOT separation operation on October 3, 2018 at 05:41 JST. (Image credit ※: JAXA, University of Tokyo, Kochi University, Rikkyo University, Nagoya University, Chiba Institute of Technology, Meiji University, University of Aizu, AIST). This decision to postpone touchdown is based on two main reasons. 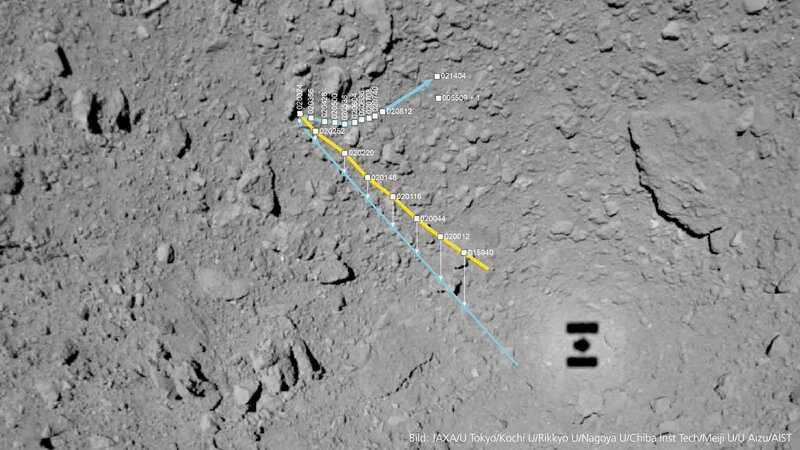 The first involves the improved understanding of the surface conditions on Ryugu by the operations conducted so far, and the second is the increased knowledge of the precision of the navigation guidance of the spacecraft. A Japanese probe sent to examine an asteroid in order to shed light on the origins of the solar system is expected to land on the rock later this month, officials said Wednesday. The Japan Aerospace Exploration Agency (JAXA) said the Hayabusa2 probe is expected to touch down on the Ryugu asteroid at 8am local time on February 22. 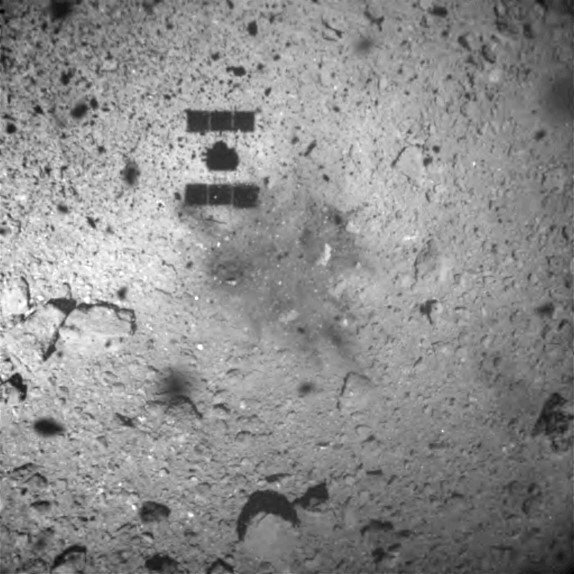 The image shows the shadow of Huyabusa 2 as the craft leaves the surface after having collected its sample. Jet wash discolours the surface at site of the landing. Touchdown and take off movie sped up x5, via JAXA. Will explain this more. < Asteroid probe Hayabusa 2 press briefing (19 / 3 / 5) live relay (delivery):https://www.YouTube.com/watch?v=ry2i3. "Keep banging the rocks together, guys." Thursday night, the Japan Aerospace Exploration Agency (JAXA) will provide a live webcast at 9 p.m. EDT (0100 April 5 GMT) as the Hayabusa2 spacecraft fires a projectile at the asteroid Ryugu in order to create an artificial crater. The actual asteroid impact is scheduled for 10:36 p.m. EDT (0236 April 5 GMT). As with all of Thursday's activities, you can watch JAXA's asteroid crash on Space.com. You can also watch directly from JAXA here. 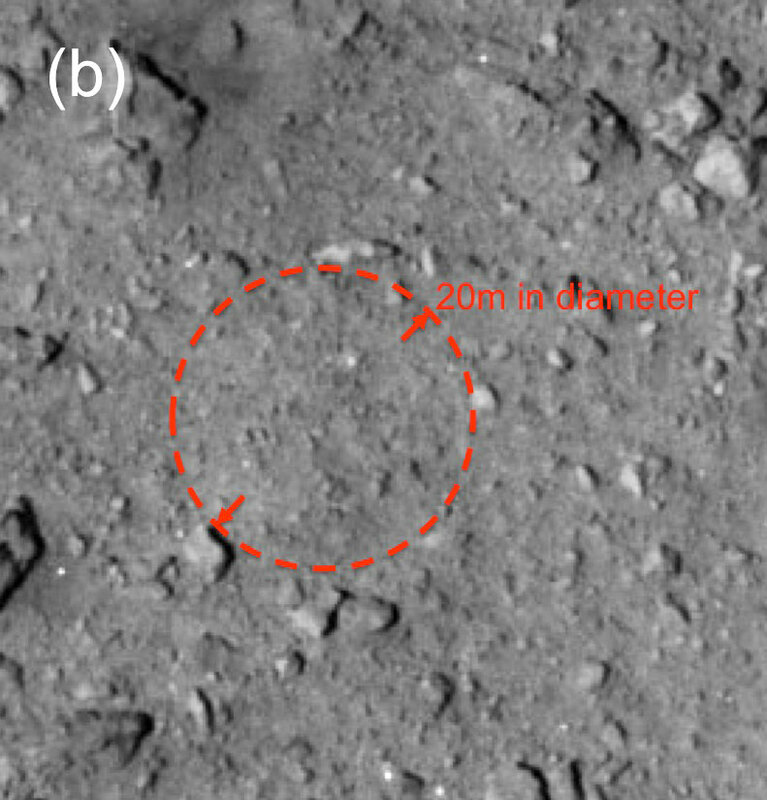 Hayabusa2 is will crash its Small Carry-on Impactor into Ryugu in order to peer inside the space rock and get a glimpse at its composition. Hayabusa2 will release the impactor from a distance of about 1,640 feet (500 meters), then retreat to a safe zone behind Ryugu as the impactor crashes into the asteroid and kicks up massive amounts of debris.